Vascular surgery (VS) has a higher perioperative mortality than other types of surgery. We compared different scores for predicting mortality in patients admitted to the intensive care unit (ICU) after open VS. Patients admitted to the ICU after open VS from 2006 to 2013 were included. We calculated the Acute Physiology and Chronic Health Evaluation (APACHE), Simplified Acute Physiology Score (SAPS), Physiological and Operative Severity Score for the enUmeration of Mortality and Morbidity (POSSUM) and Preoperative Score to Predict Postoperative Mortality (POSPOM). We performed multivariate logistic regression to assess independent factors with the calculation of odds ratios (ORs) and 95% confidence intervals (CIs). We tested the predictive ability of the scores using the area under the receiver operating characteristics curve (AUROC). A total of 833 consecutive patients were included. Hospital mortality was 5.1% (1.3% after intermediate-risk and 8.4% after high-risk surgery). In the multivariate analysis, the age (OR 1.04, 95% CI 1.01–1.08, p = 0.013), smoking status (OR 2.46, 95% CI 1.16–5.21, p = 0.019), surgery risk (OR 2.92, 95% CI 1.05–8.08, p = 0.040), serum sodium level (OR 1.17, 95% CI 1.10–1.26, p < 0.001), urea (OR 1.01, 95% CI 1.01–1.02, p = 0.001) and leukocyte count (OR 1.05, 95% CI 1.01–1.10, p = 0.009) at admission were considered independent predictors. Hematocrit (0.86, 95% CI 0.80–0.93, p < 0.001) was considered an independent protective factor. The AUROC of our model was 0.860, compared to SAPS (0.752), APACHE (0.774), POSPOM (0.798) and POSSUM (0.829). 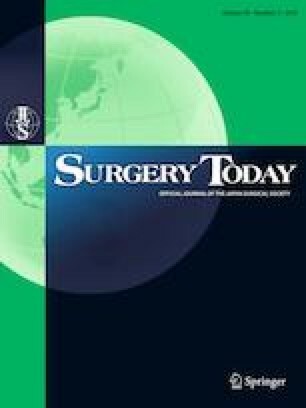 The observed mortality was within the predicted range (1–5% after intermediate-risk and > 5% after high-risk surgery). POSSUM and POSPOM had slightly better predictive capacity than SAPS or APACHE. All authors were involved in data collection. PR was responsible for the data analysis and manuscript writing. FA coordinated the project and revised the manuscript. All authors approved the final version of the manuscript. All authors have nothing to declare.